In order to provide transparency and encourage a broad input of ideas the Appraisal Standards Board (ASB) makes no changes to the Uniform Standards of Professional Appraisal Practice (USPAP) without first exposing proposed changes to the public and requesting comments. On August 23, the ASB issued the second exposure draft of proposed changes for the 2020-21 edition of the USPAP. Typically, only a small number of responses are received. A significant number of appraisers, and an even larger number of users of appraisal services, are never aware of the issuance of exposure drafts. Changes made to the USPAP have the potential to significantly impact how appraisers develop and communicate appraisals and appraisal reviews. Changes also may impact users of appraisal services. The users of appraisal services often do not have the same understanding and comfort with USPAP and as a result changes can be more confusing than it is for appraisers. The second exposure draft can be downloaded by going to www.appraisalfoundation.org and clicking on the Standards and Qualifications tab and then clicking on Exposure Drafts tab. All appraisers and users of appraisal service are encouraged to read and comment on the changes. The exposure draft addresses proposed changes to the Scope of Work Rule; Competency Rule; Definitions and the Standards Rule. Standard Rule 1 addressed the development requirements for a real property appraisal. The changes made to this standard of primarily clarifications and do not change the basic requirements of the standard. At this time, and even when there were three reporting options, the developmental requirements for Standard Rule 1 were the same regardless of the reporting option utilized. This would remain unchanged under the proposed changes to Standard Rule 2. Standard Rule 2 addresses the requirements for communication of an appraisal report. Significant changes are proposed for this Standard. At present there are two reporting options, a Restricted Appraisal and an Appraisal Report. Presently all assignments must be communicated within one of the two appraisal options. This change has the potential to remove some of the perception that appraisers are not able to accept certain types of assignments such as evaluations for lending purposes. Even under the existing Standards an appraiser is able to provide this type of report. The proposed change would, however, remove the need for a specific label. While the proposed change appears significant it does not significantly change the present development nor reporting requirements. Good communication between appraisers and clients would be important so that a clear understanding of the scope of work to be performed can be developed. Appraisers would have to clearly disclose the scope of work within the report. The goal of this article has been to make appraisers and stake holders aware that they have an opportunity to comment on potential changes to the Uniform Standards of Professional Appraisal Practice. All comment, pro and con, are beneficial and can help lead to the best possible decision. All interested parties are encouraged to comment in writing to the ASB before the deadline of October 10, 2018. Written comments on this exposure draft can be submitted by mail and email. 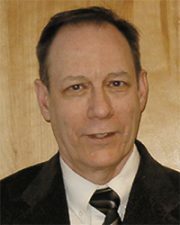 Steven Spangle, SRA, MRA, is president of Spangle Associates, Auburn, Mass.